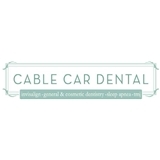 Cable Car Dental (San Francisco) - Book Appointment Online! I've found my new dentist! Dr. Ostrovsky and her staff were wonderful - great bedside manner, thorough examination, engaging explanations, and overall positive experience.